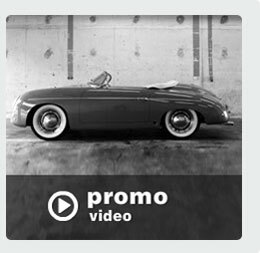 Parts-Wise.com aims to provide the visitor information about Porsche products in the broadest sense. On all products offered by Parts-Wise.com, the terms and conditions of Parts-Wise.com apply. On the products and services in the shop that are offered in cooperation with partners, usually the conditions of the partner complementary apply (please read the Terms of Wise-Parts BV). When ordering parts in combined packages, the terms of Parts-Wise.com and its partners are combined applicable, according to the provided part by Parts-Wise.com or her partner. 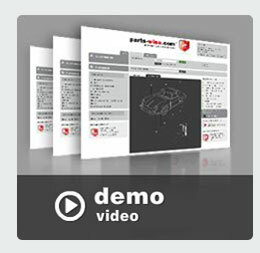 Parts-Wise.com aims to supply correct information, but can not guarantee that the information provided is always accurate and current. Although the information on Parts-Wise.com is selected with utmost care and Parts-Wise.com has done its utmost to make sure all information is as accurate, current and complete as possible, this information is not legally binding. b. Parts-Wise.com may contain hyperlinks to websites of partners of Parts-Wise.com and other third parties. These links are purely for convenience and information to you as the user. Parts-Wise.com is not responsible for these websites and the fact that Parts-Wise.com links these hyperlinks does not imply that the Parts-Wise.com endorses the content of these sites. All rights of Parts-Wise.com and all information on this website fully belong to Parts-Wise BV, its partners and advertisers. Parts-Wise B.V. reserves all rights. All information - in whatever form - is protected by copyright, trademark, trade name rights or other intellectual or industrial property law and remains at all times the property of Parts-Wise BV, its partners and advertisers. For the composition, appearance and content of all pages of Parts-Wise.com applies: © 2014 Parts-Wise.com, Netherlands. Parts-Wise.com and the information contained herein is provided to you as you find it here, without any implied warranty. Statements and opinions expressed in the notices on the pages of Parts-Wise.com are those of the author (s) and not (necessarily) of Parts-Wise.com. It is prohibited to do the following with information that is received from Parts-Wise.com: modify, copy, distribute, publish, link to other websites, make available to third parties or otherwise as mentioned in this article. Parts-Wise.com is committed to guarantee its websites or the servers on which its websites run are state of the art technology and are fitted with appropriate security to protect against viruses or malicious programs. The public messages that the Parts-Wise.com visitor leaves, should have a clear and demonstrable link with the contents of Parts-Wise.com and should not conflict with public order or morality. The messages should not be offensive or otherwise scandalous or wrongful in dealings with third parties, not to infringe third party rights, give rise to criminal or civil proceedings and should not contain viruses or other harmful files. Parts-Wise.com does in no way guarantee that the messages accessible to third parties will be kept secret. Parts-Wise.com is entitled at all times to refuse postings, delete or modify and / or to provide messages to judicial authorities.